Two preliminary drawings (figs. 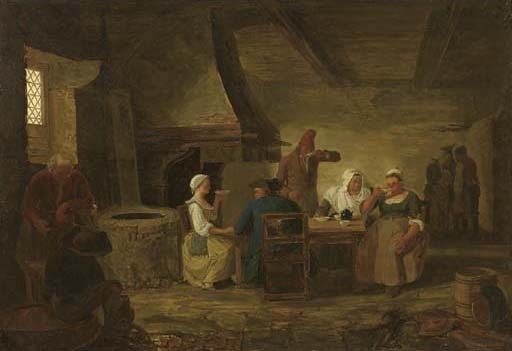 1 & 2) are recorded: the first, showing the group in the centre at the table and the second showing the two women seated on the left and on the right (both Liège, Univeristy Print Room; F. Dehousse, M. Pacco & M. Pauchen, Léonard Defrance - L'oeuvre peint, 1985, p. 23, figs. 5 and 6).